Full size 7-passenger large SUV with 3rd row seating. 2018 Ford Expedition MAX Platinum. Redesigned and technologically improved 2018 Ford Expedition powered by 3.5-liter Eco-Boost twin-turbo V6 engine. The large SUV equipped with 10-speed automatic transmission. 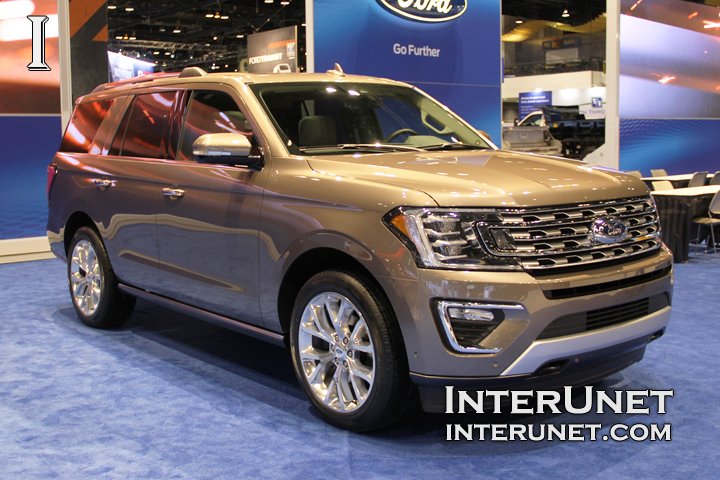 New version of Ford Expedition is lighter, but bigger SUV compare to previous model. Base new Expedition models feature rear-wheel drive with optional 4-wheel drive system. 2018 Ford Expedition offers automatic braking, lane-keep assist, park assist system and 360-degree camera. Platinum trim gets active noise reduction.